We always love to save our customers money by comparison shopping for them, but it isn’t every day that we can find a replacement product that not only is less expensive but also more resistant to wear and tear and extremely easy to clean! 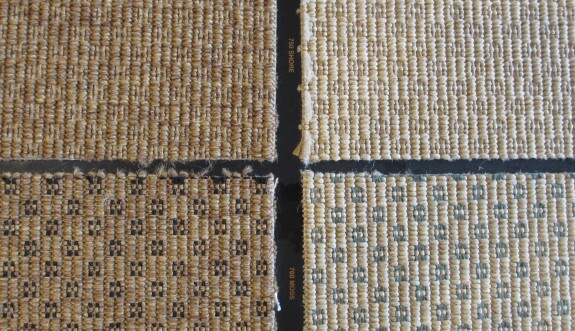 That is the case with the polypropylene carpeting that we have been using as a replacement for the extremely popular decorator’s choice of sisal carpeting. Sisal has long been popular as a decorating tool because it’s texture and uniformity often provide the casual or visually calming touch needed to balance some rooms. 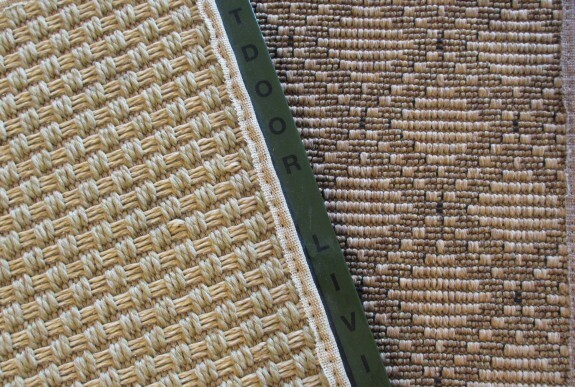 The polypropylene carpeting provides the same benefit since it and sisal are virtually indistinguishable in look and feel … but the polypropylene carpeting can be used BOTH indoors and outdoors. Like sisal, the poly carpeting conveniently comes in rolls up to 13.2 inches wide so they can be used in large indoor rooms without piecing. 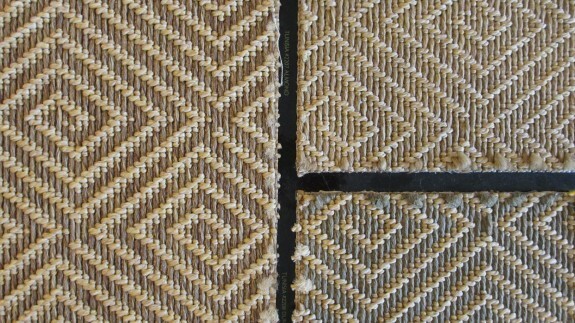 Also, just like sisal, we have the choice of either binding or surging the edges for a clean finished look. Here are just a few examples of the many patterns we carry.